Revolting Women tells the Suffrage story through the eyes of a less well known Pankhurst, Sylvia, who fought for the vote alongside working women in the East End. Sylvia meets Lettie and they push together to Parliament, to bend the ear of the Cabinet. 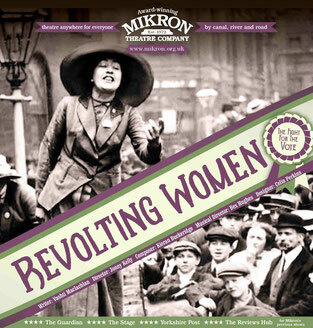 Full of political satire, song and more suffrage societies than you can shake a stick at, Revolting Women unravels a contentious and momentous movement in history!